Happy Halloween! 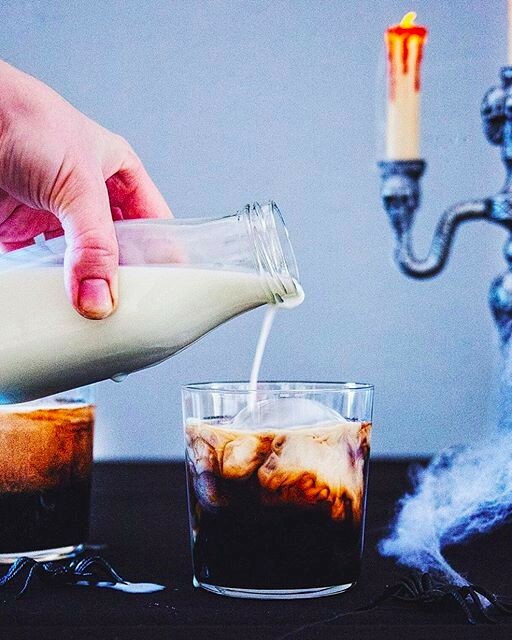 With the big day just a little over two weeks away, we wanted to share some spooky recipes & clever party ideas from the feedfeed community to make this year's Halloween Bash your best one yet. These adorably scary cupcakes are made by using a lollipop with a round of white fondant draped over it. 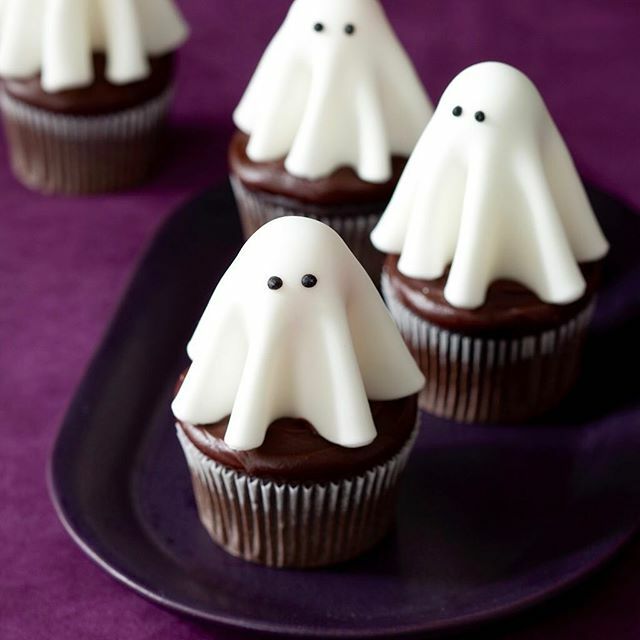 The best part is you can easily remove the spooky ghost and enjoy a classic cupcake underneath. You can get the instructions for making the ghost here, and if you're looking for a great classic (one-bowl!) chocolate cupcake recipe, check out one of our favorites here. 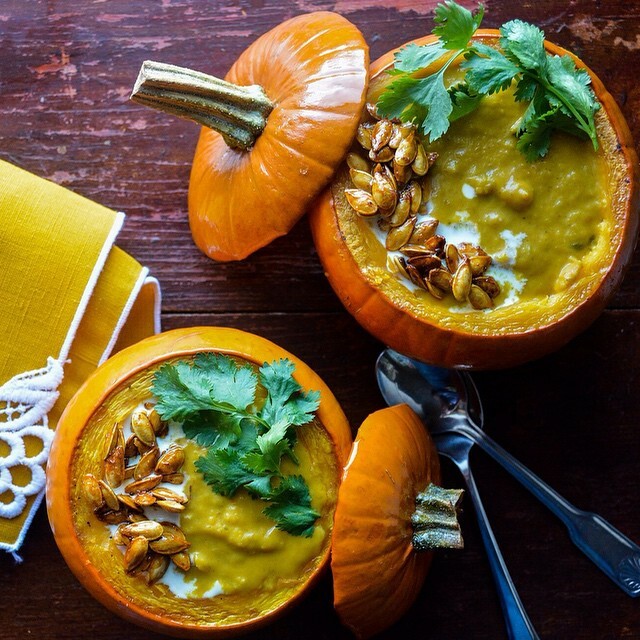 Also, @tarateaspoon will be making these live on our Snapchat (thefeedfeed) Friday, October 28th so be sure to tune in so you can learn her tips and tricks! 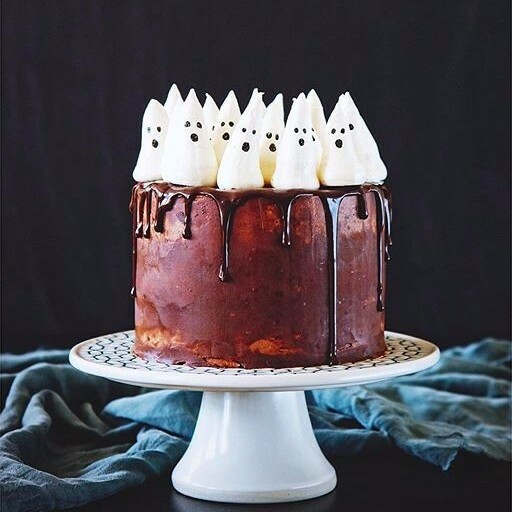 The best part about this cake is if you skip the ghosts, it makes the perfect seasonal dessert to make throughout the holidays! Eek, a spider! 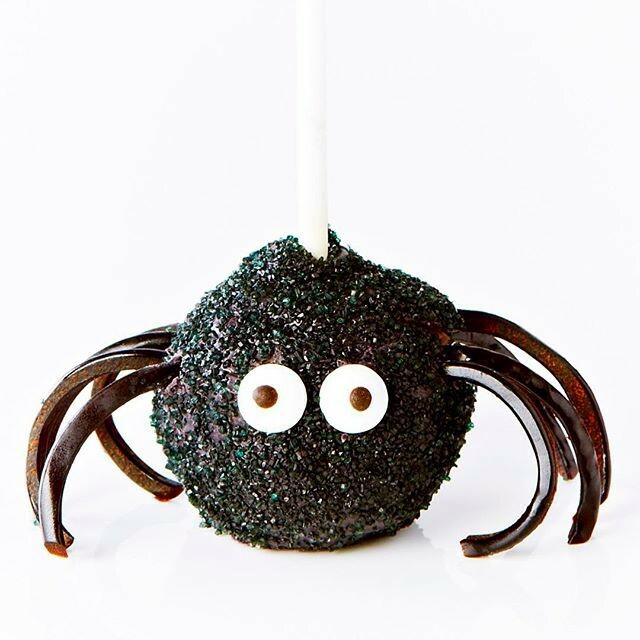 Kids and grown-ups alike will get a kick out of these clever chocolate dipped cake pops. Want to learn how to make them? 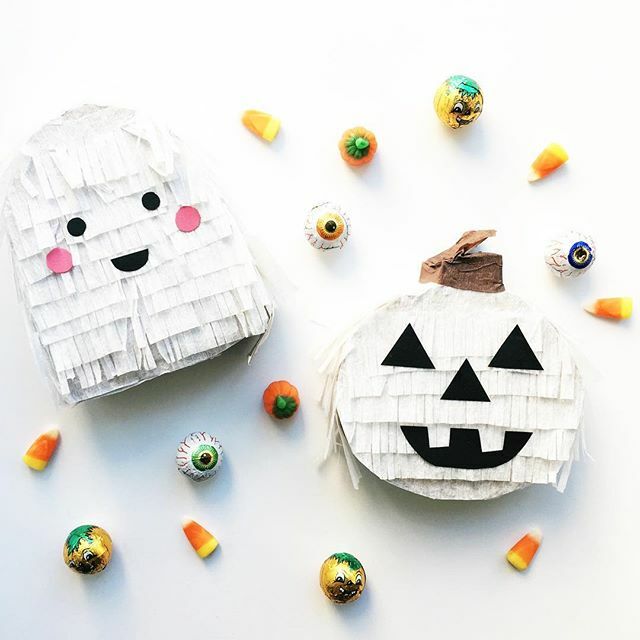 Tune into oursnapchat (thefeedfeed) next Tuesday, October 25th where @bitememore will be live showing you the step by step for these adorable treats! Who says Halloween fun is just for kids? 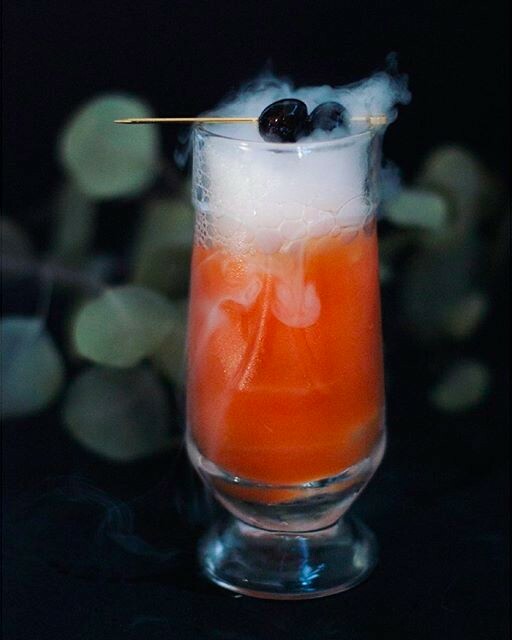 Get in on the party with these creepy cocktails! Proceed with caution! Three types of rum come together with cinnamon grapefruit syrup, pineapple juice, lime juice and grenadine. Garnish with brandied cherries for an extra kick! An ominous mix to enjoy on All Hallows' Eve! Doesn't get much more festive than this! 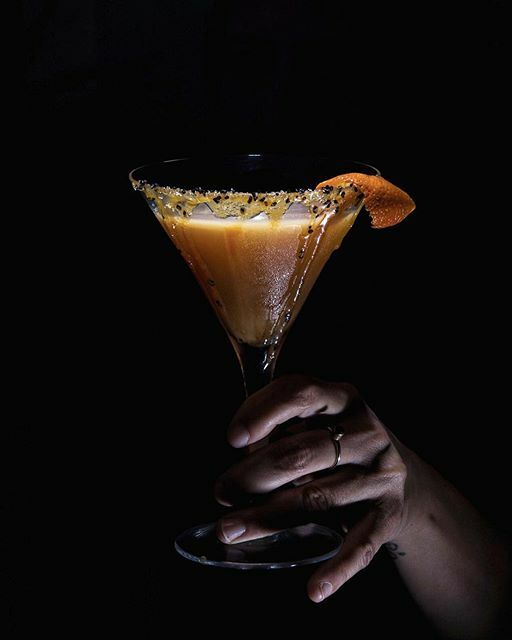 Plus, this is a cocktail you can enjoy all season long (sans the spooky vibes!). The pumpkin has been carved, but what to do with all those seeds? Don't throw them away! 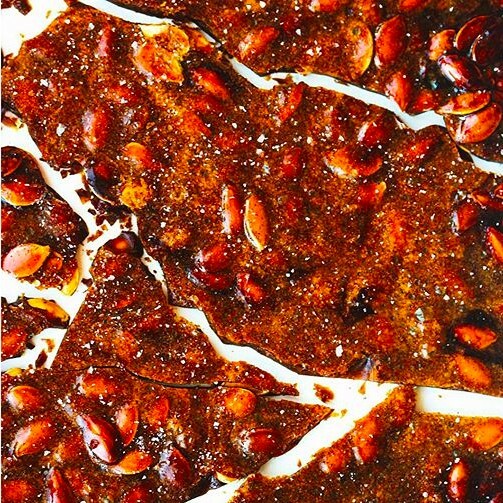 Check out a few of our favorite clever uses for pumpkin seeds; everything from sweet, to savory and even spicy! Even better than the halloween candy! This vegan treat is made with coconut oil rather than the standard butter. The perfect meal to serve before trick or treating or as a starter at your Halloween-themed dinner party. 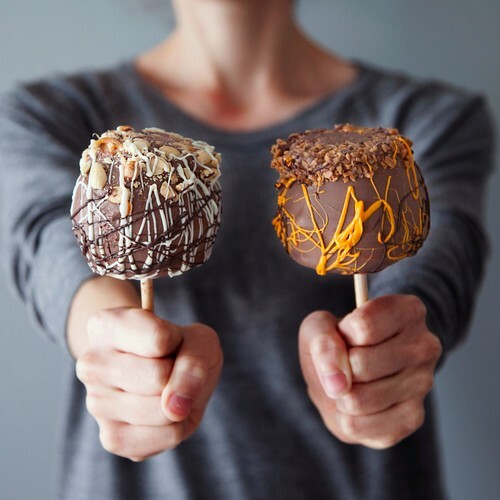 Forget bobbing for apples, your Halloween Party needs these chocolate covered caramel apples. 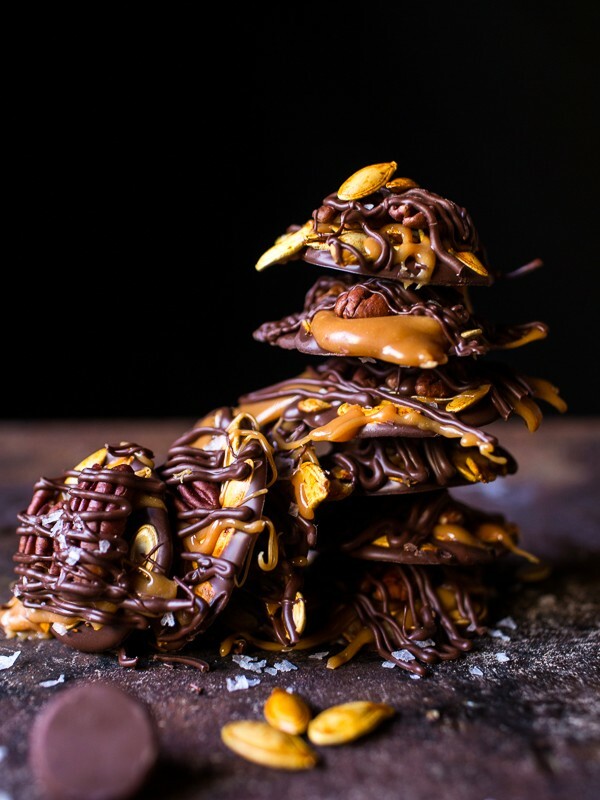 You can even set up a Caramel Apple Bar with bowls of melted caramel, chocolate and toppings and let guests DIY. Because you need a break from all that chocolate. 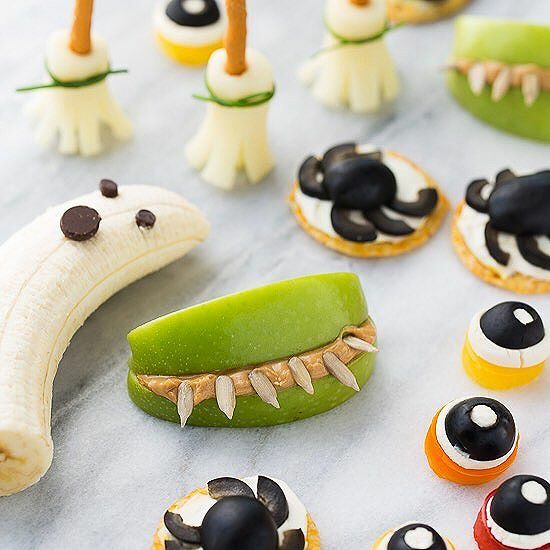 Banana Ghosts, Apple and Peanut Butter Monster Mouths, Red Pepper and Black Olive Evil Eyeballs & more! 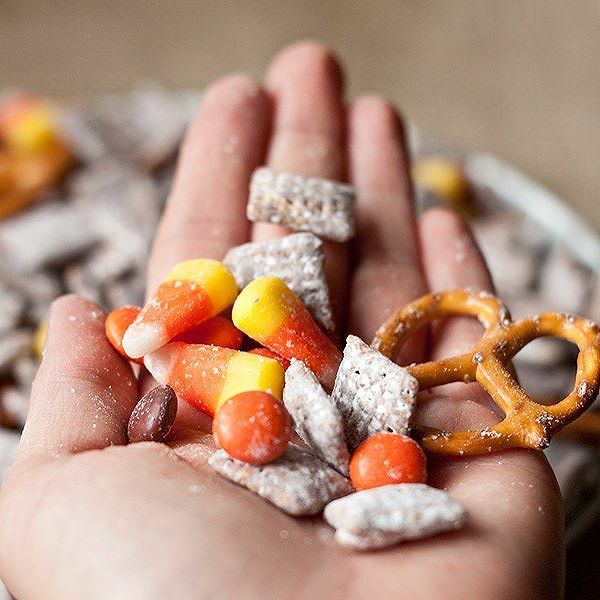 An irresistible sweet and salty snack mix that would make a great party favor for Halloween guests. 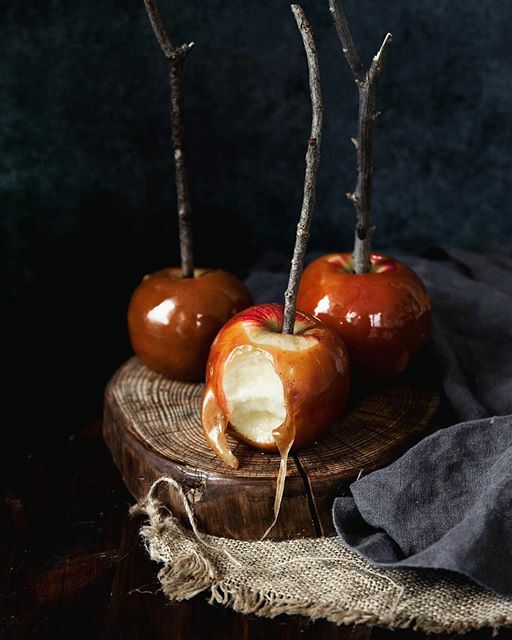 These are perfect for your elegant Halloween (or Thanksgiving) table. 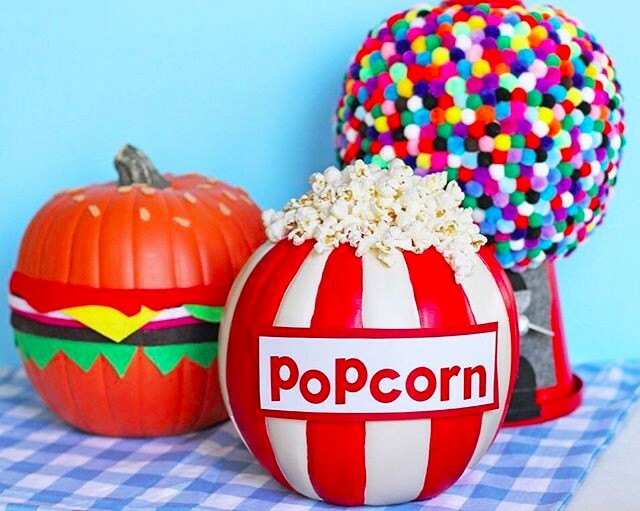 Get creative with your pumpkin decor this year and make some of these food-themed pumpkins from @lilyshop! She uses wooden pumpkins from the craft store so they last year after year, but you could make a similar version with real pumpkins as well. The tutorial linked here is for Jen's basic piñata. To make the halloween ones pictured here, just cut a pumpkin or ghost shape out of the cereal box. Use colored card stock to add the facial features. 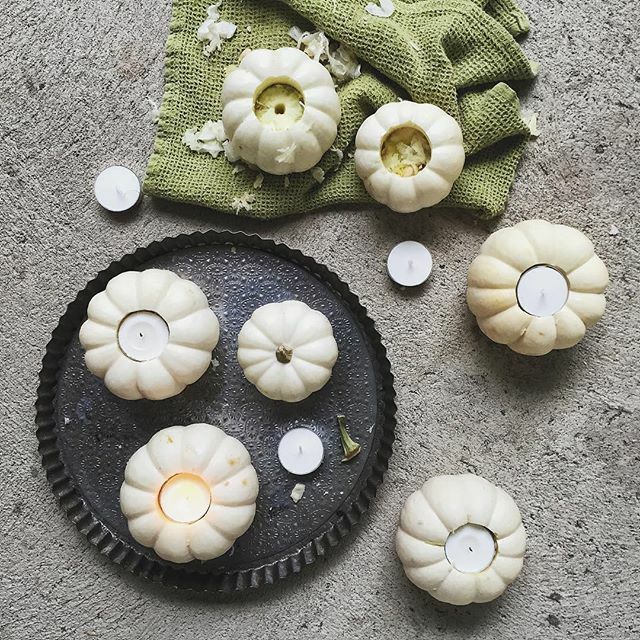 Want More Halloween Inspo? 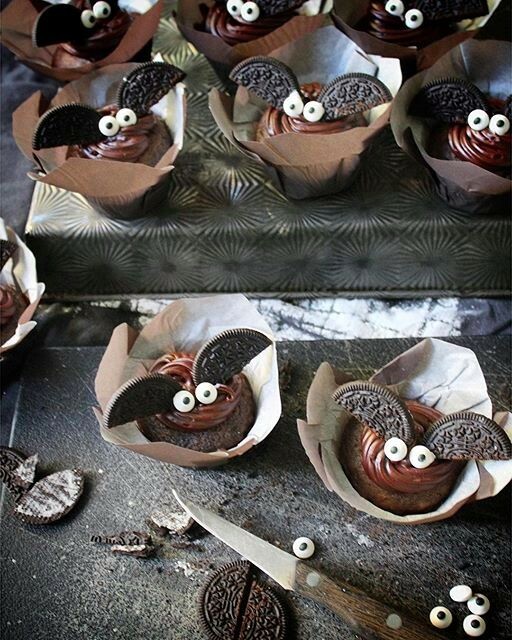 Check out our Halloween feed for 200+ more recipes! 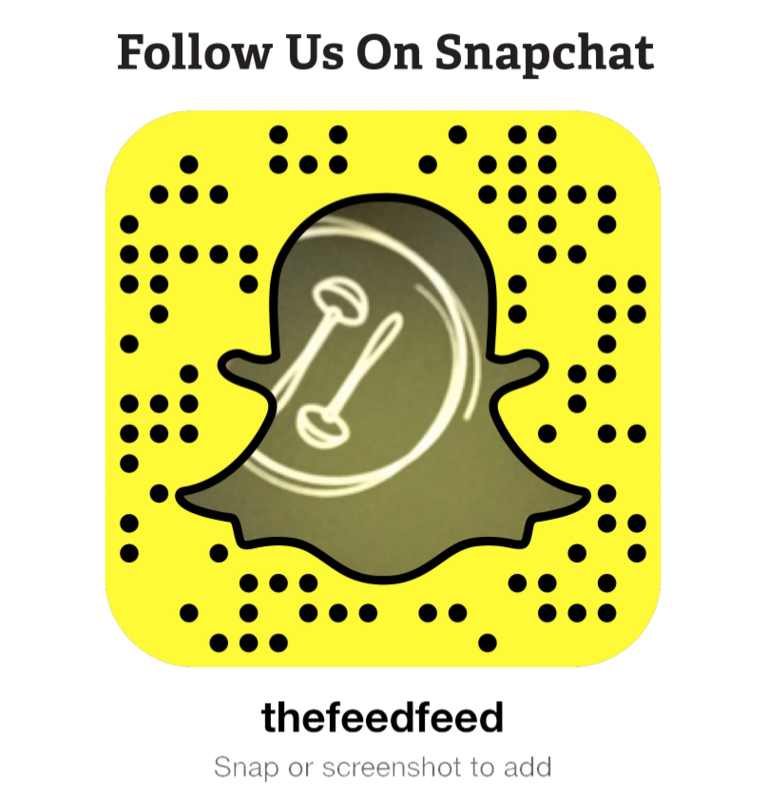 For more Halloween fun tune into our Snapchat (thefeedfeed) all next week for a series of Halloween themed snaps! Here are two of the great recipes you'll be able to watch with step by step instructions on our Snapchat (thefeedfeed)!